Locust United Methodist Church celebrated its 146th Anniversary on Sunday, September 6, 2015. Below is a brief glimpse at our long history. 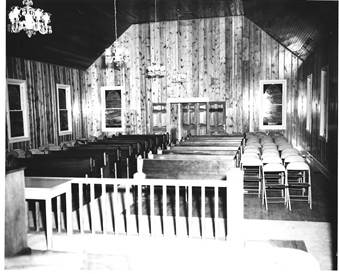 In a newly found document dated May 9, 1843 a church service was held at a recently built Methodist Episcopal Church in the vicinity of the Mills, called Locust Chapel. "A snug neat little house built of logs, surrounded by a most beautiful grove of locust trees around it and sufficiently large to accommodate the different surrounding families who intend to worship God there." Bishop Waugh delivered the dedication sermon from I Kings chapter 8 and part of the 63rd verse. The Chairman of the building committee was Mr. J. P. Ijams at that time. August 10. 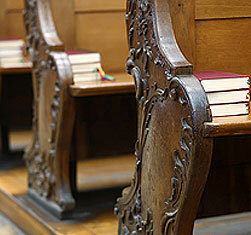 1869 and November 3, 1871 deeds were drawn and land granted to Locust Chapel, for a house of worship. Trustees at that time were Jerry Wilson and Isaac & William Holland. 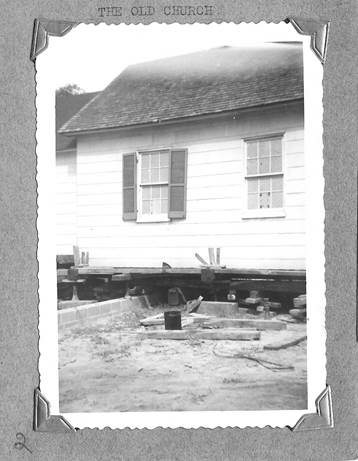 A new building was built on the original site in 1951, a mortgage burning and fifth Anniversary celebration was held on Sunday, April 28, 1957. Locust United Methodist Church is now ADA accessible. We are in the midst of a major building renovation project. We are still worshipping God in Christ Jesus on the location of Freetown; the enclave of the freed blacks dating back to the Civil War. The bible inscription on May 25, 1871 presented to Locust Chapel says it all, "May the Blessings of God be upon this church."